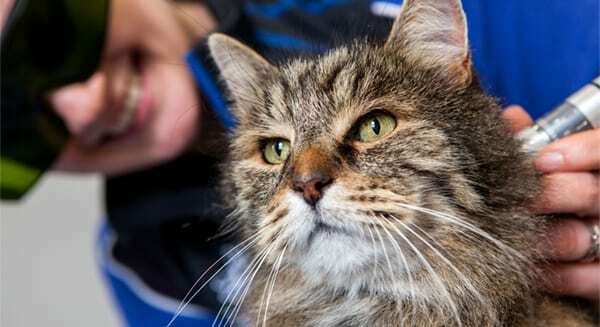 Cromwell ARC specialises in tailored rehabilitation programmes to help get your pet back on their feet. your pet back on their feet. to help get your pet back on their feet. Physiotherapy aims to restore movement and function using a range of manual therapies, exercises and lifestyle changes. At the Cromwell ARC, we offer hydrotherapy for your pet on a state of the art underwater treadmill. A quick and painless therapeutic treatment, useful for a range of conditions, including soft tissue injuries and osteoarthritis. This handsome boy is a great example of how a dog’s weight impacts on their mobility and rehabilitation. 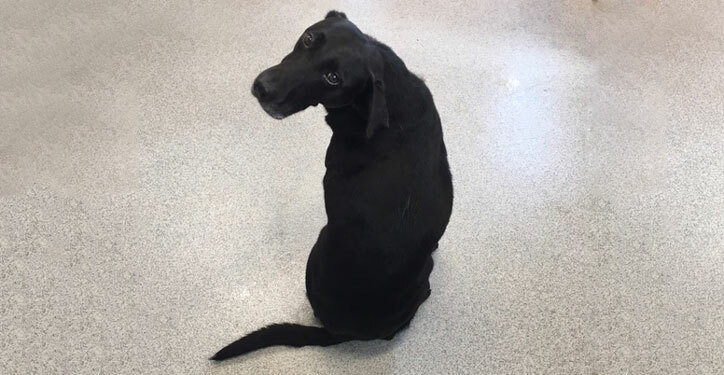 Luke, an eight-year-old Labrador, has elbow dysplasia and came to the ARC as the resulting lameness was starting to impact on his quality of life. Luke weighed in at almost 30kg when we first met him, so as well as a course of laser treatment and hydrotherapy on our underwater treadmill, Luke started a weight loss program. Less than three months later, he is now a much healthier 26kg. Not only does he look amazing, his lameness has improved dramatically. Well done Luke! 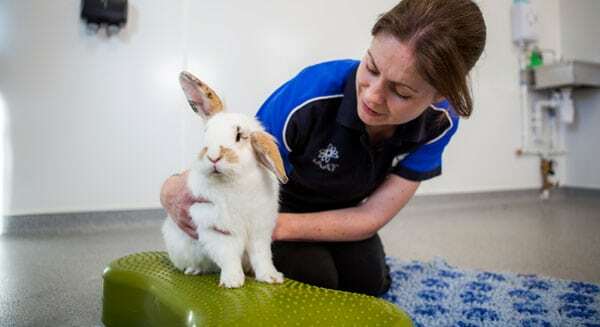 Leanne qualified as a veterinary nurse in 2009 and became increasingly interested in the benefits physiotherapy and rehabilitation could bring to the patients she was nursing. After studying for two years at The College of Animal Physiotherapy, she gained her Diploma in Animal Physiotherapy with distinction in 2012. 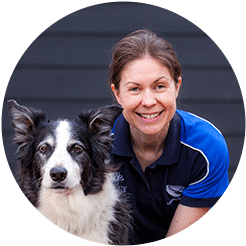 Leanne then went on to train as a myofascial release therapist; a therapy that is particularly useful for soft tissue injuries and restrictions and the management of scar tissue. Leanne has also undertaken further training in water management, underwater treadmill therapy, laser therapy and kinesiology taping. 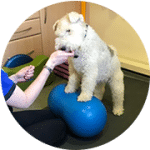 She has experience treating a wide range of conditions and injuries in dogs and cats and has a particular interest in physiotherapy and rehabilitation of canine sports and working dog injuries. Sophie has been receiving physiotherapy for just a few weeks but in this time we have seen a great improvement in her walking. She has gone from not wanting to put her leg on the ground, and limping badly, to walking much more easily. This has been achieved through exercise and state-of-the-art K-laser treatment, administered with the skill and patience of Leanne (Sophie can be a very vocal patient, even though she likes seeing Leanne and receiving treats!). 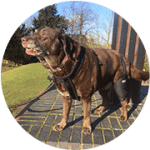 We have also been given a lot of really helpful advice on exercises, diet and the use of a brace for Sophie's leg. Thanks to all at Cromwell's. Dylan met with the physiotherapy team for assessment and he began a few weekly sessions to determine if it would be effective. The benefits were obvious and Dylan continues to attend weekly for a work out tailored to his specific requirements, typically treat based! Recently these sessions have been prefaced by laser treatment to warm up the muscles prior to the exercises and the benefits are clearly noticeable in Dylan's movement. Dylan loves these sessions and I can't stress the difference that they have made to his general wellbeing. 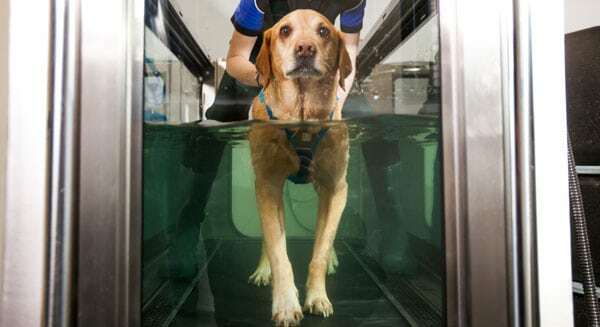 It will be interesting to see how the new underwater treadmill can further help with his condition.